The term “racecation” has been coined by runners to describe a trip to participate in a race. Traveling to a new venue to run in an event, check out new scenery, explore new terrain, and rendezvous with fellow runners is all part of the excitement of taking a racecation. This past weekend I headed west for one of these adventures, and while the two hour car drive to Lafayette may not seem to be epic, participating in the Zydeco Marathon was a race experience unlike any I’ve had before. Saturday afternoon I met up with Anne and her friend Lauren to set out on the drive to Lafayette. Anne has been my partner for races quite frequently as of late, but I had only met Lauren once prior to her running the Rock ‘n’ Roll New Orleans Half Marathon. After getting on the interstate, the entire drive to Lafayette was discussion about our training and plans for the race. 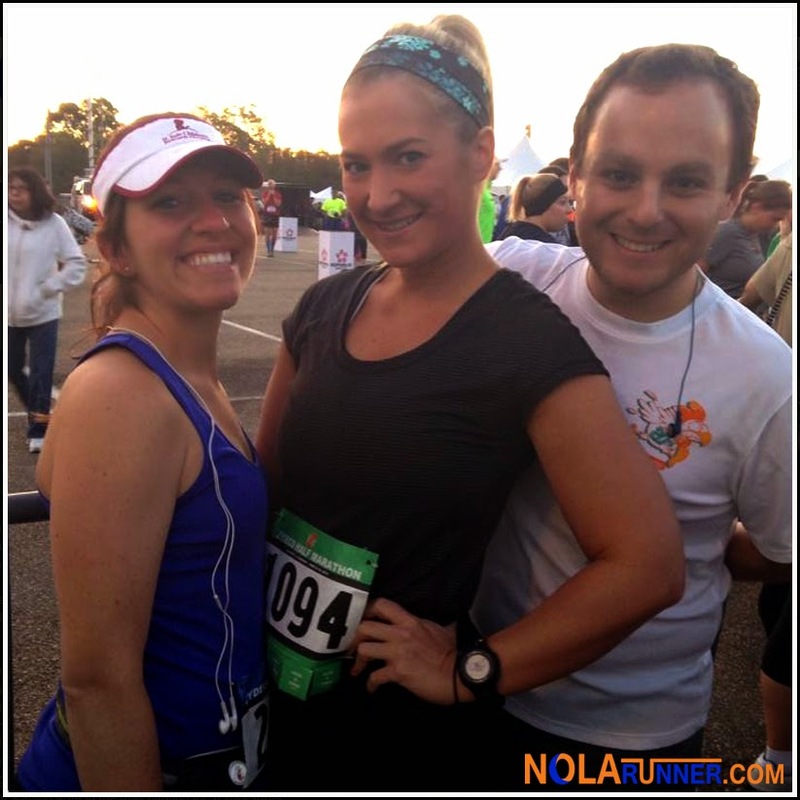 Anne was super prepared for her second half while Lauren was planning on making the Zydeco her first full marathon. Her training included a couple halves and even a couple twenty mile training runs, but she was still hesitant on committing to those additional 6.2 miles. I, unlike my companions, had barely run since completing several marathons in January and February; however, I was still considering a full marathon attempt. After discussing that the course was a double loop through the streets of Lafayette, Lauren and I decided to execute the race based on how we felt, and decide mid-run how many miles our race would be. for participants. Lauren made the reservation for us, and when drove up, we realized that there was no exaggeration on how close we were to the start / finish line. The hotel was fairly new, super convenient, and ideal for the three of us. After checking in, we headed to dinner and arrived back at the hotel to crash before 10pm. I barely slept in the hours before the race, so I was up and ready to go before 6am. The 10 minute walk to the start line was really easy, which was good because the race organizers weren’t expecting the large number of registrants in the weeks before the race. We hadn’t gone to the expo on Saturday, so the line for morning-of packet pickup was lengthy and a little confusing. Once we got to the front of the line and had our number, participant shirt and bag, the rest of our pre-race routine fell in to place. I should also mention that the bag provided was a very nice and durable drawstring bag that worked perfectly for our checked-gear. The national anthem singer belted out a stirring rendition of the song at 6:55am, followed by a prompt starting horn at 7am. Lauren and I decided to run together for as long as possible and split up when necessary, should one of us want to speed up or slow down. Her starting pace was pretty quick, but I followed her as we weaved in and out of fellow participants. I knew I wouldn’t be able to keep that pace for the entire race, but knew I wanted to stay with her as long as possible. Around the three mile marker, our pace leveled out and hit an even speed. The first segment took runners away from the campus of the University of Louisiana Lafayette before turning around to head back through campus and in to the quaint downtown area. The back half of the course is an out and back that runs through a medical center and loop through a neighborhood. The final miles bring runners back to where they started, between the ULL Cajun Dome and the school’s football stadium. At mile 10, Lauren consulted me and asked if I wanted to continue on to do the full or if I wanted to finish the half. At that point, I could have taken the full slowly and done it successfully, but I honestly wanted to be done and enjoy the post-race party before driving home to NOLA. I did, however, defer to her since she was looking at her first full finish. She decided that she wanted to finish the final three miles at full speed to secure a PR at the half distance. I was happy to oblige, and we sped up to keep that time within reach. The heat slowly crept up on us as the morning progressed, but the weather was beautiful as we finished. After conquering the final deceptive U-Turn at mile 12.5, a great Lafayette Police Officer cheered every runner on to the finish. As we passed the 13 mile marker, Lauren turned to me to confirm I didn’t want to do the full. Nope, I was done. I wasn’t in the mood to finish a double looped course that day. Lauren had secured a 7 minute PR and we felt great as we crossed the line. After grabbing our medals, a smoothie from Smoothie King, and our checked gear, we waited for Anne to finish right behind us. Somehow she managed to duplicate her time from her first half marathon down to the second. Who does that? I couldn’t do it with the use of two Garmin watches and perfectly laid out Galloway plan. But Anne is consistent, if nothing else. An open field about 200 yards from the finish was lined with food vendors, food trucks, and a beer truck. Each participant’s bib had 6 tabs to pull off in exchange for either a food or beverage item at the festival. This allotment turned out to be plenty for Anne, Lauren and myself. We ended up getting several food items to share and several beers each. The plan was to consume each and every calorie we had just burned, and success was to be ours. 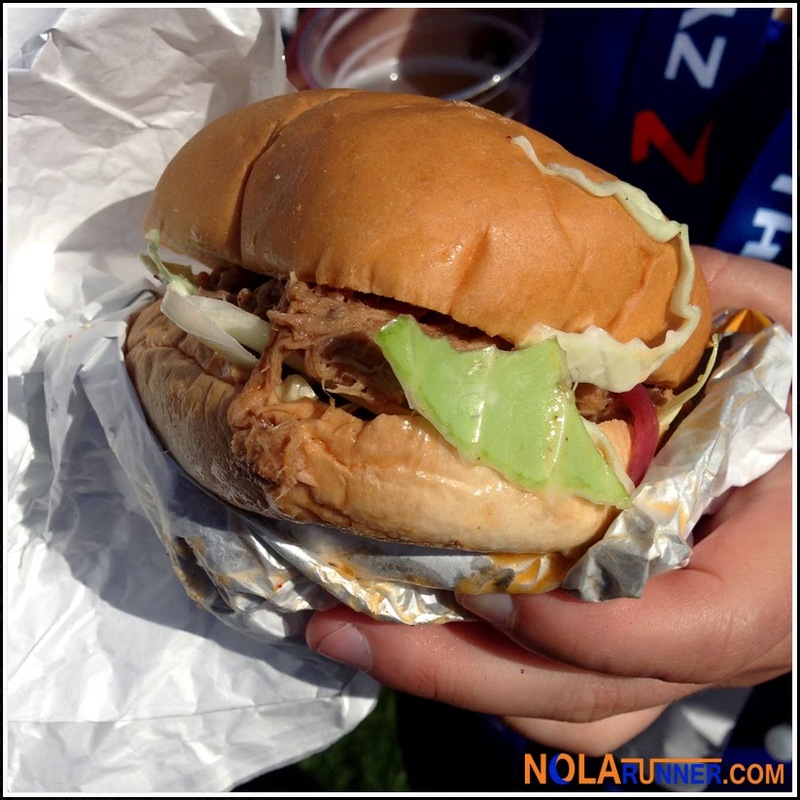 The food selection was great, as I was partial to one truck that had cochon sandwiches and corn dogs. However, there was pasta, boiled seafood, funnel cakes, jambalaya, fried seafood, and countless other options to choose from. The beer selection was also great, with no less than 8 local and domestic beers on tap. After consuming our fill, running in to friends and fellow runners Jennifer and Janel, and enjoying some of the live zydeco music being performed, we walked back to our hotel to shower and change for the ride home. The energy and excitement for the event was excellent throughout the City of Lafayette. Police and spectators were great support for runners during the race; however, their enthusiasm also created the only two obstacles I encountered. In the first two miles of the course, I ran in to a police motorcycle parked in the middle of the course. I also saw a table in the middle of the course with mini paper cups filled with jellybeans. While the former may have been placed to prevent runners from stepping in a pothole or other obstacle, the table of jellybeans created a hindrance very early on during a crowded half. During the second loop for full marathoners, a sugar surge at mile 15 would have been welcome, and the course would have been drastically less crowded. These first several miles were very narrow and not very scenic, which could be adjusted for future events, but the enthusiasm from the city should never change. 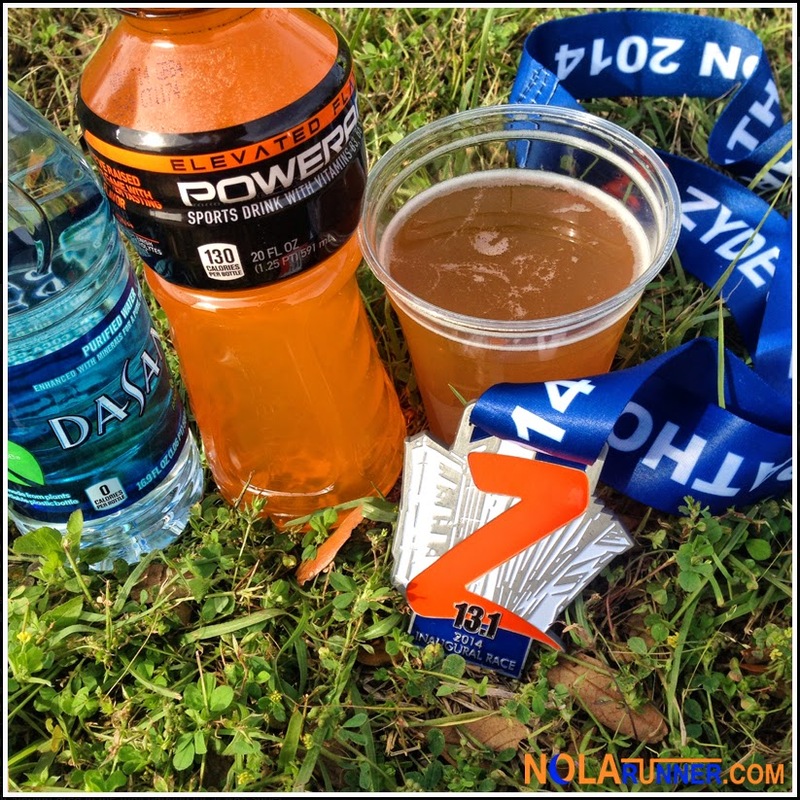 The 2014 race was an inaugural event for the Zydeco Marathon, and a first race of its kind in Lafayette. I was impressed with the great organization that went in to execution of the race, as well as the post-race party. The turnout was excellent and the enthusiasm from participants was palpable. I am personally thrilled that there is a now spring marathon event in which us South Louisiana runners can easily participate. Next year, I plan on returning with my friends to tackle the race yet again, and hopefully double up with the full marathon distance. 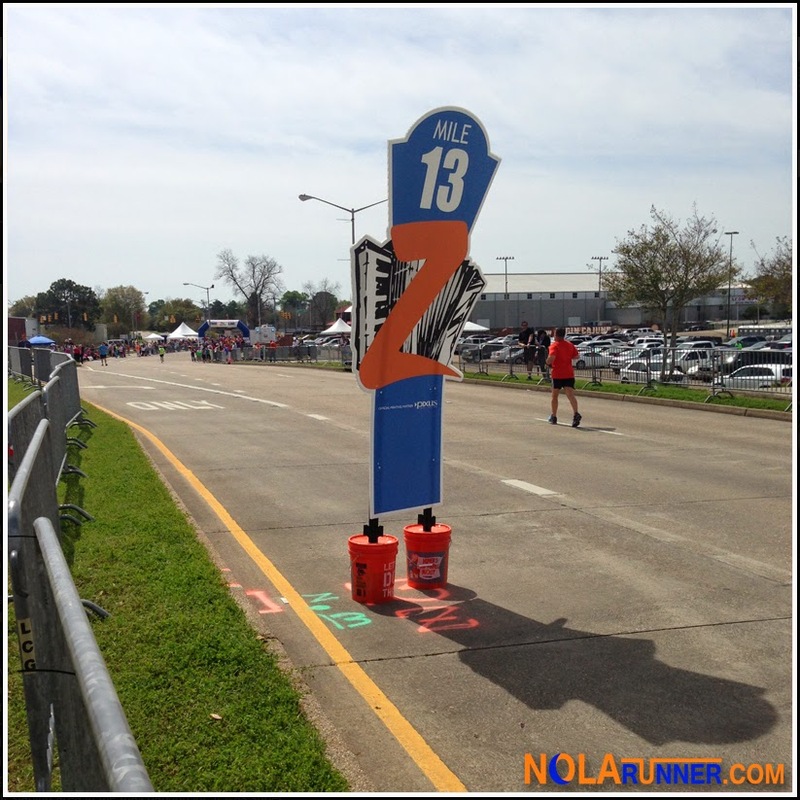 See complete race results for the 2014 Zydeco Marathon and Half Marathon HERE. 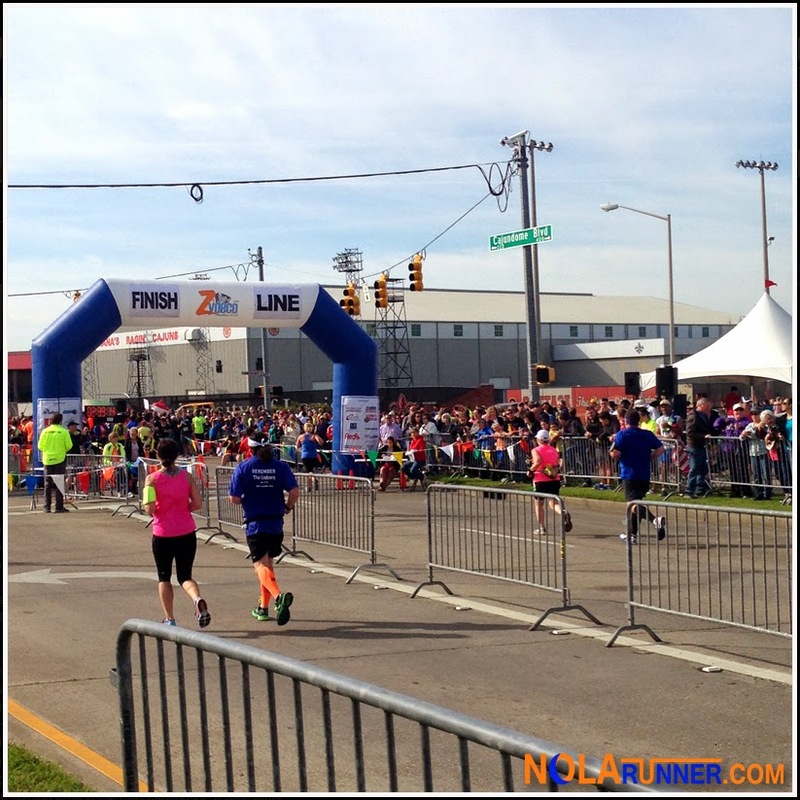 For more photos from the race, LIKE the NOLArunner Facebook page HERE! Excellent recap! Loved seeing you out there! Yes, Jen! We need to make race rendezvous a regular thing. See you soon! Great article. Thank you for writing it. I only ran in the race and didn't help at all in organizing it, but being from Lafayette, I'm thrilled with how much you and others enjoyed it. It was a great race! I remember seeing the table with the gummy bears too. I'm pretty sure it was put out by a family with kids that lived on that street. I didn't see it still out there on the second loop either. Thanks again for the article. Again, I'm glad you enjoyed the race! Congrats on your race, Sean! And congrats to Lafayette on beings such a great host for an event that size. The snack table was only a minor issue, but could have been a bigger one if the field had been bigger. I'm just glad to see how much the community supported the event!